Australians love the freedom of DIY, and the Vinrac DIY wine rack really is an easy Do It Yourself wine rack. Our stylish and elegantly simple wine racks are easily adaptable to a multitude of situations and spaces, plus they are super strong and look really smart. Imagine the satisfaction as you put your precious bottles of wine in a safe secure place knowing you made it yourself. No longer do you need to put up with untidy stacks of bottles in inconvenient places such as the laundry. Now you can display your wine in an attractive setting. Our DIY wine racks require no tools or advanced building skills. 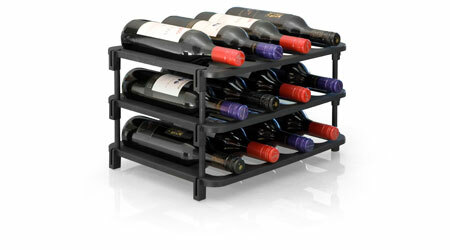 Our DIY wine rack systems really can be designed to suit any space or location. Let your creative juices flow—the Vinrac wine rack can be adapted to your most visionary wine storage ideas. The modular design of our wine cellar racks, along with the DIY simple to build method gives you the ability to create your own wine rack designs to suit your cellar, garage, shed, wine cabinet, under stairs, cupboard, storeroom, or benchtop. Now you can design a wine rack that beautifully reflects your personal taste in wine and your storage needs. Whether you want to store as few as 12 bottles, or 100’s of bottles, Vinrac modular wine racks are perfect for the wine rack in your cellar. There are some important things to think about when choosing where to create your wine cellar. Even temperature, easy access, and absence of direct sunlight are some very important factors. Calculate how many bottles this area may hold. Measure the area only to as high as you can reasonably reach and only include corners that are accessible. Make sure the area selected has strong and level flooring to provide a level solid base for your wine racks. Avoid storing your wine in an area that is subject to constant vibration. Vibration interferes with ageing and stirs up sediments affecting the quality of your wine. Attic areas are usually not suitable for a wine cellar because of vibration levels and elevated temperatures. Are Vinrac Wine Racks easy to assemble? 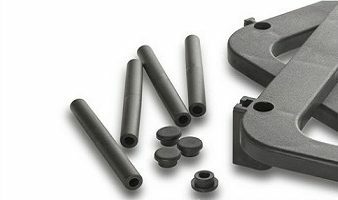 At Vinrac, we make the whole process of ordering and installation so easy. Simply select the wine rack pack that suits your needs and order online. Once your wine racks arrive, you can start assembling into a shape suitable for your DIY design or your wine cellar. 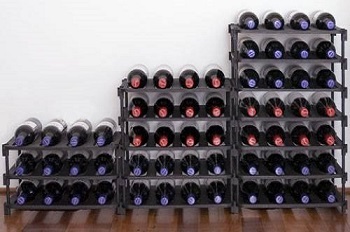 Simple step-by-step instructions are provided for building, modifying or relocating your wine racks. See for yourself how simple and quick it is to build your very own wine rack system, click on the video and follow the simple instructions, and within minutes you have built your very own wine cellar. Vinrac, the simple solution for your DIY wine storage problem.